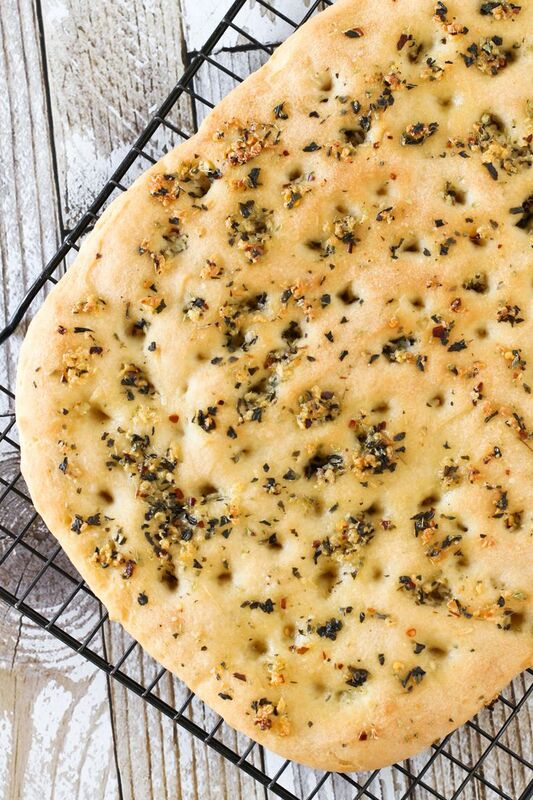 Gluten Free Vegan Garlic Herb Focaccia Bread. Warm, soft yeast free bread, covered in herbs and fresh garlic. Oh so good!